When Irish people go abroad they often join GAA clubs but Belfast brothers John and Brendan Grieve went a step further than this - they built a clubhouse! The former St John's and St Agnes players, who left Ireland in 1978 and 1983 respectively, joined with a group of friends in Penrith, west of Sydney, to recreate a little bit of home. Brick by brick, they fundraised and constructed a magnificent clubhouse which is widely used in the community today. 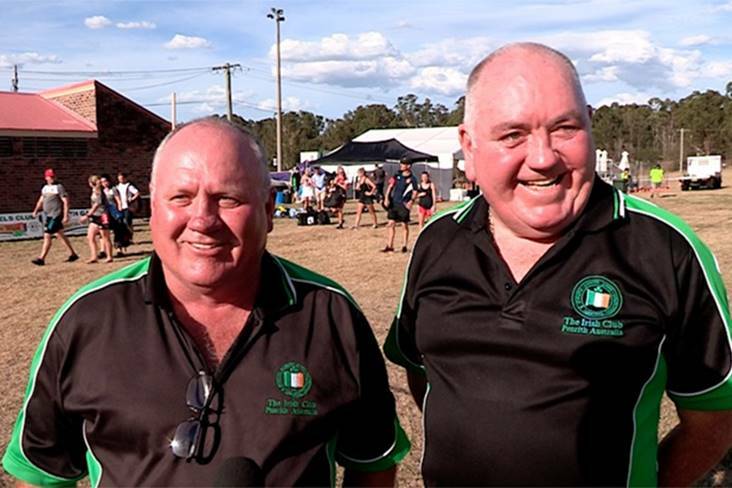 "I don't think there is any other GAA club throughout the world that has built their own club," says Brendan at the recent Penrith Gaels Tournament. Michael Cusacks, Central Coast, McAnallens and others travelled to take part in the competition which ensures that Gaelic Games are played in a unique setting, 13 thousand miles from home.